What kind of plastic materials can we injection mold for you? There are hundreds of injection molding materials available in the world, and definitely on mainland China. Our company has the most experience with general purpose and engineering thermo plastics and elastomeres . Note: if you wish a specific material, which isn’t available in CHINA , we can import it to our mold factory. 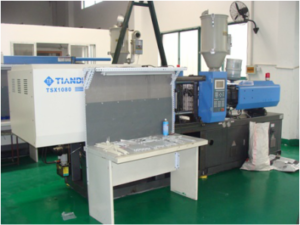 Plastic injection molding with modern injection molding machines. For the injection molding of your product, modern injection molding machines are available at our production facility, including several horizontal machines and vertical machine for the injection molding of plastic parts (PCBs, gold contacts, metal parts, etc.). wpc or wood plastic composites such as thise from Jeluplasts. Are you starting the first production in our injection molding plant? We can imagine that you want to be present at the injection-molding factory at the start of the first production of your product. You are welcome to join us at the start-up. Always a great moment for you as a customer and for us as a producer! After the production we go one step further if you wish. Do you have ideas about how you want to assemble, process, pack or stock the product? We can also tailor this for you to a complete solution. Injection molding is done entirely at TRIPLE-c co-operation factories, so in these factories have modern injection molding equipment. 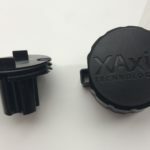 As an experienced and recognized injection molding company, we are happy to take your product idea into production. Our injection molding production consists of the realization of mostly plastic products. Plastic injection molding at Triple-c is especially suitable for small to medium series (50-500,000 pieces) and can be from 0.1 to 1500 grams . Usually large parts are also made by general purpose plastics or Tpe/r/o’s read hereunder more about how to make large parts..